Dr. Gizela Laskowska is a radiologist from San Diego, California. She has been in practice for the past 22 years. Dr. Laskowska graduated in 1995 from the medical school of Perelman at the University of Pennsylvania. She had an internship at the California Pacific Medical Center - Pacific Campus. Afterward, she completed a residency in radiology at Santa Clara Valley Medical Center and a fellowship in neuroradiology at Stanford University. Dr. Gizela Laskowska is a board-certified specialist in diagnostic radiology. 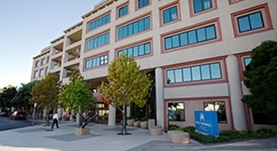 She is currently affiliated with Kaiser Permanente San Francisco Medical Center.